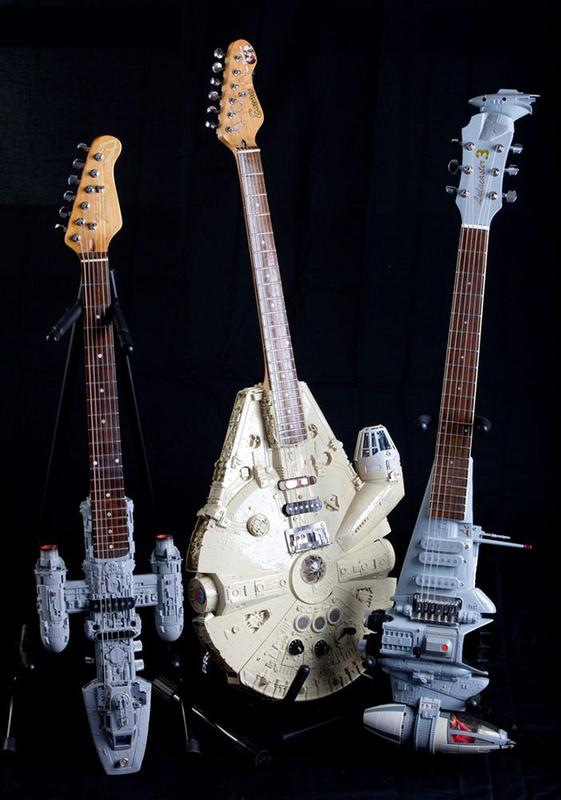 UK-based Tom Bingham, a 64-year-old retired printer, created an impressive collection of custom made electric guitars in the shape of various spaceships from Star Wars (Y-wing Starfighter, Millennium Falcon and B-wing fighter). According to The Sun, Tom spends approximately three months building his guitars and uses items that he buys from car boot sales. 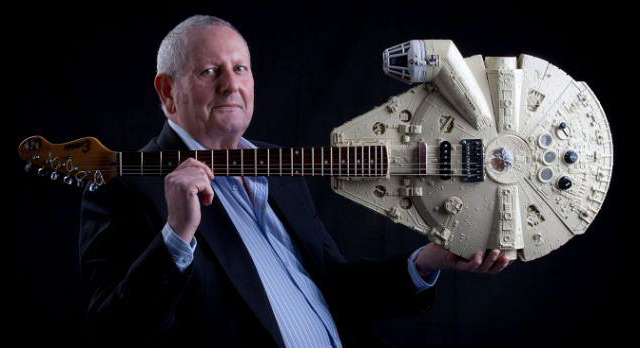 Here is a great video from SWNS.com showing Tom’s Millenium Falcom guitar (plus many others) in action.